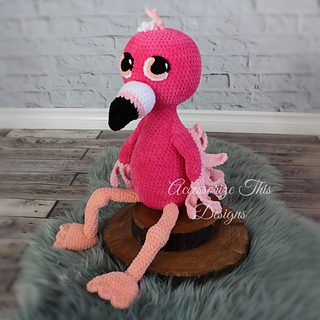 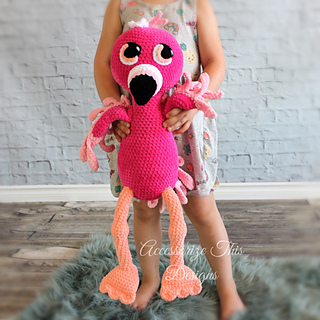 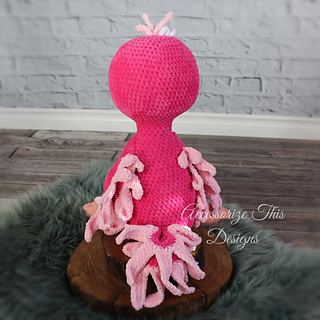 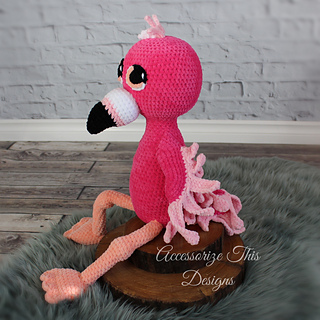 “Francesca” the Flamingo; adorable, fun and huggable. 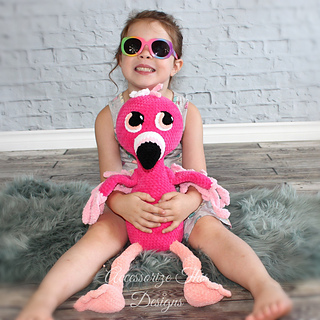 The cuddle buddies were designed using Premier Parfait yarn for approximately 23 inches of extra soft snuggles! 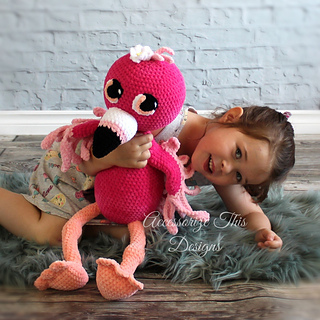 Or use your favourite worsted weight yarn for slightly smaller version.